With Carbanio as your procurement partner, you can now recast your procurement processes and manpower. Sellers are approved after verification so that you don’t have to vet them every time you buy Chemicals. You can do away with the limited number of vendors you have and can now choose from all sellers on our platform. Also, you can locate suppliers near to home so as to avoid higher logistics costs. Carbanio takes responsibility for getting the shipment to your doorstep. Logistics are taken care of within your country and even across borders. Procure even the rarest of chemicals with near-zero effort. Knowledge of prices and shipping costs is a click away. Chemicals’ prices are not standardized. A platform of sellers across the globe that helps the markets have optimum pricing. Buy chemicals at any time with a few clicks. You can approve the shipment for quality and quantity in 72 hours to release payment to the seller. Procure from across the globe. 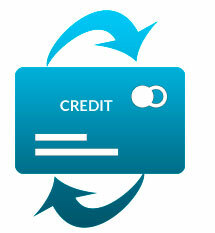 Carbanio uses an advanced payment gateway to ensure secured payments. ORDER SUMMARY: - When the Buyer makes the payment towards the products in Carbanio.com, both Buyer and Merchant will receive Order Summary from Carbanio via email. This document will have the Buyer’s details and using Order Summary, the Merchant shall release the shipment to Carbanio’s logistics team. BUYER'S TAX INVOICE FROM SELLER: - BUYER'S TAX INVOICE is the traditional Invoice which is issued by the Company to the Buyer when the product is purchased. Merchant prepare's this invoice and keeps it inside the package. BUYER'S TAX INVOICE FROM CARBANIO: - This Invoice shall be sent to the Buyer which will have logistics charges and Carbanio’s Service Fee/Charge against the product purchased in Carbanio. Carbanio is the world's first platform for selling Chemicals online. Manufacturers and traders can sell online with zero investment in technology. Carbanio's logistics team specializes in transporting Chemicals around the globe. The company will help you in packaging Chemicals as per domestic and international standards. The package is collected from your doorstep and is delivered to the buyer's doorstep. Carbanio settles payments in 72 hours after the shipment reaches its destination and once the buyer confirms the purity and quantity of the Chemical. The rise of digital technologies has eroded boundaries: Anyone can participate, start a business, and reach the global audience. Carbanio is an online platform that brings together buyers and sellers of Chemicals. Therefore, instead of spending time and money on marketing, you can focus on selling. You can now compete on pricing and purity while selling. Carbanio is one such platform which brings visibility to your products without paying any money. Knowing what is in demand, you can manufacture such products that bring you higher turnover and profits. Sell unsold and surplus stock in Carbanio for discounted prices. A global pool of businesses ready to buy your products. Display of price and purity leading to quicker sales. Fastest payments system that gets you the payment within 72 hours of receipt of shipment and buyer's confirmation on purity and quantity. Logistics support from Carbanio with door-to-door delivery across the globe. Genuine businesses through a vetted registration process and documentation check. Assured sales since Chemicals once purchased cannot be returned when they meet purity standards as displayed by your business on Carbanio. Secure fast payments via digital settlement for improved cash flow. Dashboard to give you a bird's eye view via demand analytics, inventory management, and many more nifty features. Facility to donate Chemicals to academia to strengthen your Research & Innovation. The Company reserves the sole and exclusive right to amend or modify these Terms without any prior permission or intimation to the User, and the User expressly agrees that any such amendments or modifications shall come into effect immediately. The User has a duty to periodically check the terms and stay updated on its requirements. If the User continues to use the Website following such a change, the User will be deemed to have consented to any and all amendments/modifications made to the Terms. In so far as the User complies with these Terms, it is granted a personal, non-exclusive, non-transferable, revocable, limited privilege to access and use the Website and the Services. If the User does not adhere to the changes, You must stop using the Services at once. Your continuous use of the Services will signify your acceptance of the changed terms. To fully avail the Services of the Website and use of it, a one-time registration is required to create a profile, for both the Academia and Business Users. For Academia, the registration on the Website means that the Academia user is currently working or studying at a university/college/government research organisation. For Business, the registration on the Website means that the Business user is currently working for an organisation, which manufactures/trades/supplies chemicals and/or related products. Registration for this Website is available only to those above the age of 18 years, barring those “Incompetent to Contract” which inter alia include insolvents. If You are a minor and wish to use the Website as a User, You may not do so and the Company reserves the right to terminate Your account on knowledge of You being a minor and having registered on the Website or availing any of its Services. Further, at any time during Your use of this Website, including but not limited to the time of registration, You are solely responsible for protecting the confidentiality of Your User name and password, and any activity under the account shall be deemed to have been done by You. In the case that You provide Us with false and/or inaccurate details or We have reason to believe You have done so, We hold the right to permanently suspend Your account. You agree that you will not disclose your password to any third party, and that you will take sole responsibility for any activities or actions under your account, whether or not you have authorized such activities or actions. You will immediately notify us of any unauthorized use of your account. The Website is a portal where registered Business Members of the Website as well as Academia users can place orders on various listed sellers’ items (the sellers are registered Business members who sell chemicals) and the Company manages the said portal and provides other incidental services to facilitate the transactions between the buyers and the sellers. The User represents and warrants that they are competent and eligible to enter into legally binding agreements and that they have the requisite authority to bind themselves to these Terms, as determined solely by the provisions of the Indian Contract Act, 1872. The User may not use the Website if they are not competent to contract under the Indian Contract Act, 1872, or are disqualified from doing so by any other applicable law, rule or regulation currently in force. All text, graphics, user interfaces, visual interfaces, photographs, trademarks, logos, brand names, descriptions, sounds, music and artwork (collectively, ‘Content’), is generated/provided or based on information provided by third parties (being the sellers from whom products are sourced) and We have no control and make no guarantees regarding the quality, the accuracy, integrity or genuineness of such Content. All the Content displayed on the Website is subject to copyright and shall not be reused by any party (or third party) without the prior written consent of the Company and the copyright owner. The seller is solely responsible for the integrity, authenticity, quality and genuineness of the content provided by the seller on the Website, and whilst feedback and comments by the buyers shall be made via the Website, the Website bears no liability whatsoever for any feedback or comments made by the buyers made in respect of any of the content by third parties on the Website. Further, the Website reserves its right to suspend the account of any seller for an indefinite period to be decided at the discretion of the Website, or to terminate the account of any seller who is found to have created or shared or submitted any Content or part thereof that is found to be untrue/inaccurate/misleading. The seller shall be solely responsible for making good any financial or legal losses incurred through the creation/sharing/submission of Content or part thereof that is deemed to be untrue/inaccurate/misleading. The Academia and Business Members have a personal, non-exclusive, non-transferable, revocable, limited privilege to access the Content on the Website. Users shall not copy, adapt, and modify any content without written permission of the Company. A User may terminate their use of the Website at any time. The Company may terminate these Terms and close a User’s account at any time without notice and/or suspend or terminate a User’s access to the Website at any time and for any reason, in its sole discretion. Such suspension or termination shall not limit Our right to take any other action against you that We consider appropriate. The Company reserves the right, in its sole discretion, to unilaterally terminate the User’s access to the Services, or any portion thereof, at any time, without notice or cause. The Website also reserves the universal right to deny access to particular Users, to any/all of its Services without any prior notice/explanation in order to protect the interests of the Website and/or other visitors to the Website. The Website reserves the right to limit, deny or create different access to the Website and its features with respect to different User(s), or to change any of the features or introduce new features without prior notice. The User shall continue to be bound by these Terms, and it is expressly agreed to by the Parties that the User shall not have the right to terminate these Terms till the expiry of the same. Registration on this Website is free for Users and this includes accessing the Website and the use of the services. However, We reserve the right to amend the charges for the services rendered. In case that happens, User will be intimated of the same, and it will be up to you to decide whether or not you will continue with services offered by us. Such changes are effective as soon as they are posted on the Website. For every transaction between buyers and sellers on the Website, the Parties agree that payment shall be collected by the Website on behalf of the seller in the mode as conveyed to the buyer and the same shall be collected through a third-party payment gateway. The Parties acknowledge and agree that the prices of products include the cost of the product, service fees, applicable taxes and shipping charges and that the service fees shall be deducted by the Company before transferring the remainder amount to the seller of the product(s) for every order. Agree that they are authorised to purchase and/or sell chemicals on the Website. Agree to provide genuine credentials during the process of registration on the Website. You shall not use a fictitious identity to register. We are not liable if the User has provided incorrect information. Agree that they are solely responsible for maintaining the confidentiality of Your account password. You agree to notify Us immediately of any unauthorized use of Your account. We reserve the right to close your account at any time for any or no reason. Understand and acknowledge that the data submitted is manually entered in to the database of the Website and all data in the Website should be backed by hard copies or appropriate evidence for the purpose of verifying the validity of the data. The User also acknowledges the fact that data so entered into the database is for the purpose of easy and ready reference alone. Authorize the Website to use, store or otherwise process Your personal information and all published Content and User comments and reviews and ratings for marketing and promotional purposes. Are bound not to cut, copy, modify, recreate, reverse engineer, distribute, disseminate, post, publish or create derivative works from, transfer, or sell any information or obtained from the Website. Any such use/limited use of the Website will only be allowed with the prior express written permission of the Company. Agree not to access (or attempt to access) the Website and/or the materials or services by any means other than through the interface provided by the Website. The use of deep-link, robot, spider or other automatic device, program, algorithm or methodology, or any similar or equivalent manual process, to access, acquire, copy or monitor any portion of the Website or its content, or in any way reproduce or circumvent the navigational structure or presentation of the Website, materials or any content, or to obtain or attempt to obtain any materials, documents or information through any means not specifically made available through the Website will lead to suspension or termination of the User’s access to the Website. The User acknowledges and agrees that by accessing or using the Website or any of the Services provided therein, it may be exposed to content that it may consider offensive, indecent or otherwise objectionable. The Company disclaims any and all liabilities arising in relation to such offensive content on the Website. Expressly agree and acknowledge that the Content displayed on the Website is not owned by the Company, and that the same are the exclusive property of vendors or other third parties, who have chosen to showcase their products through the Company’s Website, and that the Company is in no way responsible for the content of the same. The User may however report any offensive or objectionable content, which the Company may then remove from the Website, at its sole discretion. The Website permits the User to post, or upload data/information as User comments, feedback or reviews, and the User undertakes to ensure that such material is not offensive or objectionable, and is in accordance with applicable laws. The User expressly agrees that any such material that is deemed to be objectionable/offensive may be removed from the Website immediately and without notice, and further that the User access to the Website may also be permanently revoked, at the sole discretion of the Company. Engage in advertising to, or solicitation of, other User of the Website to buy or sell any products or services not currently displayed on the Website. The User may not transmit any chain letters or unsolicited commercial or junk email/messages to other User via the Website. It shall be a violation of these Terms to use any information obtained from the Website to harass, abuse, or harm another person, or to contact, advertise to, solicit, or sell to another User of the Website without the express prior written consent of the Company. Posting Chemical requirements which are prohibited for use and mentioned under International Narcotics Control Board. Please visit http://www.incb.org/ for more information. The User hereby expressly authorizes the Company/Website to disclose any and all information relating to the User in the possession of the Company/Website to law enforcement or other government officials, as the Company may in its sole discretion, believe necessary or appropriate in connection with the investigation and/or resolution of possible crimes, especially those involve personal injury and theft/infringement of intellectual property. The User further understands that the Company/Website might be directed to disclose any information (including the identity of persons providing information or materials on the Website) as necessary to satisfy any judicial Order, law, regulation or valid governmental request. If the User’s actions may cause any harm, damage or loss to the other Users or to the Company, at the sole discretion of the Company. In no event shall the Company/Website be liable to compensate the User or any third party for any special, incidental, indirect, consequential or punitive damages whatsoever, including those resulting from loss of use, data or profits, misuse of products, whether or not foreseeable, and whether or not the Company/ Website had been advised of the possibility of such damages, or based on any theory of liability, including breach of contract or warranty, negligence or other tortuous action, or any other claim arising out of or in connection with the User’s use of or access to the Website and/or the services or materials contained therein. The Website accepts no liability for any errors or omissions, whether on behalf of itself or third parties, or for any damage caused to the User, the User’s belongings, or to any third party, resulting from the use or misuse of the Website or any service availed of by the User through the Website. The service and any Content or material displayed on the service is provided without any guarantees, conditions or warranties as to its accuracy, suitability, completeness or reliability. The Website will not be liable to you for the unavailability or failure of the Website. Unless expressly agreed to in writing, nothing contained herein shall give the User a right to use any of the Website’s trade names, trademarks, service marks, logos, domain names, information, questions, answers, solutions, reports and other distinctive brand features, save according to the provisions of these Terms. All logos, trademarks, brand names, service marks, domain names, including material, designs, and graphics created by and developed by the Website and other distinctive brand features of the Website are the property of the Company or the respective copyright or trade mark owner. Furthermore, with respect to the Website created by the Company, the Company shall be the exclusive owner of all the designs, graphics and the like, related to the Website. The User is aware all intellectual property, including but not limited to copyrights, relating to said services resides with the owners, and that at no point does any such intellectual property stand transferred from the aforementioned creators to the Company, or to any other User. 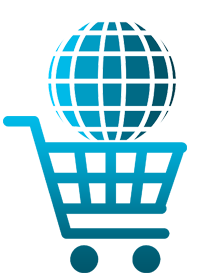 The User is aware that the Company merely provides a Website through which the Users can view, sell and purchase chemicals, and the Company/the Website does not own any of the intellectual property relating to the independent content displayed on the Website, apart from originally created graphics and specified content. The User agrees that any kind of information, resources, activities, recommendations obtained/availed from Website, written or oral, will not create any warranty and the Website disclaims all liabilities resulting from these. You are solely responsible for your communication/interaction with other Users on the Website and the Website doesn’t make any warranty about the conduct of Users on the Website. The Company/Website does not guarantee that the functions, products and services contained in the Website will be uninterrupted or error-free, or that the Website or its server will be free of viruses or other harmful components, and the User hereby expressly accepts any and all associated risks involved with the User’s use of the Website. The Website is and shall avail services from third parties to serve You better and these services will be provided on “as is” basis and the Website disclaims any liabilities resulting from these third party services. The Website will not be responsible for any internet delays and damages caused by such problems. Arbitration: In the event that the Parties are unable to amicably resolve a dispute by mediation, said dispute will be referred to arbitration by a panel of three arbitrators (one to be appointed by the Company, one by the opposing Party and the third by the two arbitrators), and the award passed by such arbitral panel will be valid and binding on all Parties. The Parties shall bear their own costs for the proceedings, although the sole arbitrator may, in his/her sole discretion, direct either Party to bear the entire cost of the proceedings. The arbitration shall be conducted in English, and the seat of Arbitration shall be the city of Hyderabad, Telangana. Agreement: These Terms, read with the Policy, form the complete and final contract between the User and the Company with respect to the subject matter hereof and supersedes all other communications, representations and agreements (whether oral, written or otherwise) relating thereto.